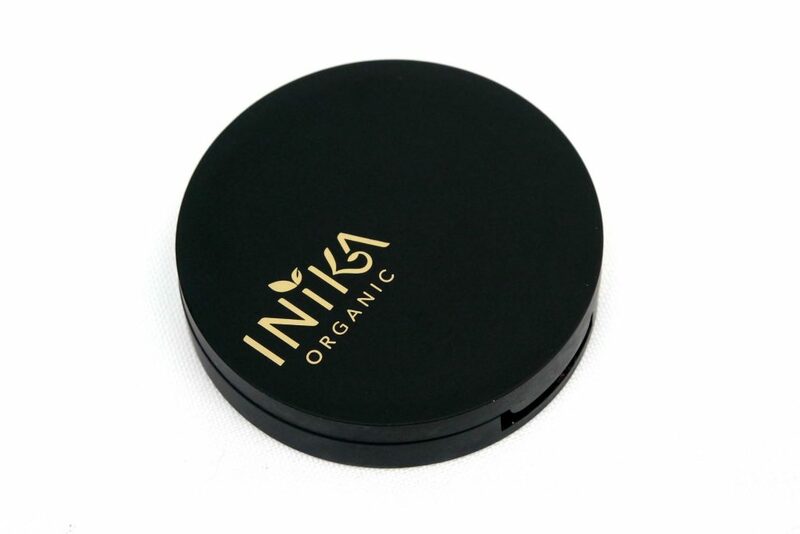 INIKA is an Australian organic beauty brand, offering 100% Natural, Vegan and Cruelty free make-up products. Their products include nourishing botanical ingredients, as well as other ingredients of the highest quality keep your skin healthy. 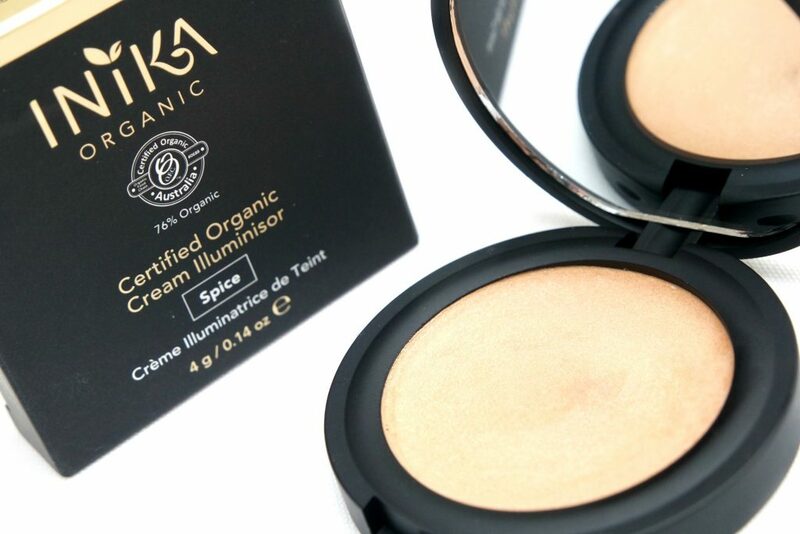 I’ve received one of their cream highlighters to review, which is the INIKA Cream Illuminisor in Spice. 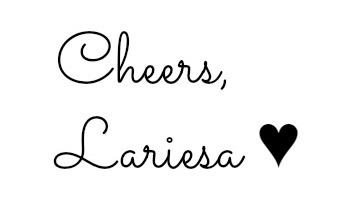 The comes in very simple, matte black packaging with gold details. 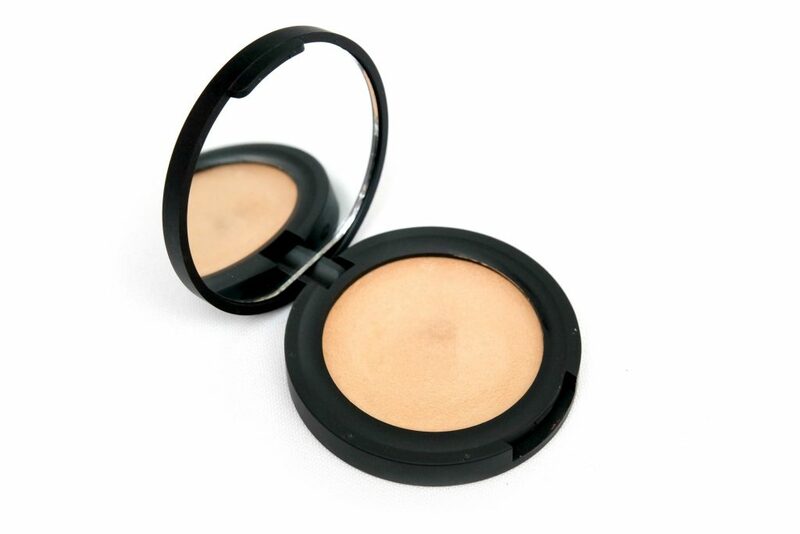 The compact is made of plastic, feels lightweight but sturdy. Opening the compact reveals a mirror and the product poured into a pan, containing 4 grams in total. The product doesn’t look amazing in the pan but the incuded ingredients do make it sound very promising. Certifed Organic Coconut Oil (nourishing), Certifed Organic Cocoa Butter (rich in healthy fatty acids), Carnauba Wax (softening) and Candelilla Wax (high in nutrients), Certified Organic Argan Oil (ultra-moisturising) and Vitamin E (anti-oxidant). 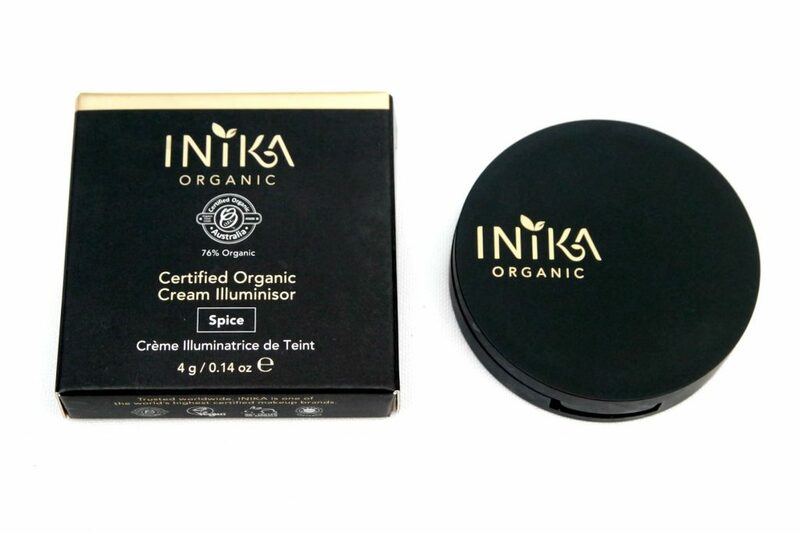 The INIKA Cream Illuminisor in Spice is described as a Champagne Shimmer recommended for medium skin tones. At the moment, I have a light to medium skintone and I think I can just manage to wear this shade. The product is quite hard due to the oils so it needed some time to warm up to my finger before I could swatch it. It does get softer depending on the surrounding temperature. I think the product has a beautiful luminosity and applies evenly however, there are some bigger shimmer particles in there, which are not visible in picture but in direct sunlight, it makes the highlighter look less natural and more glittery. 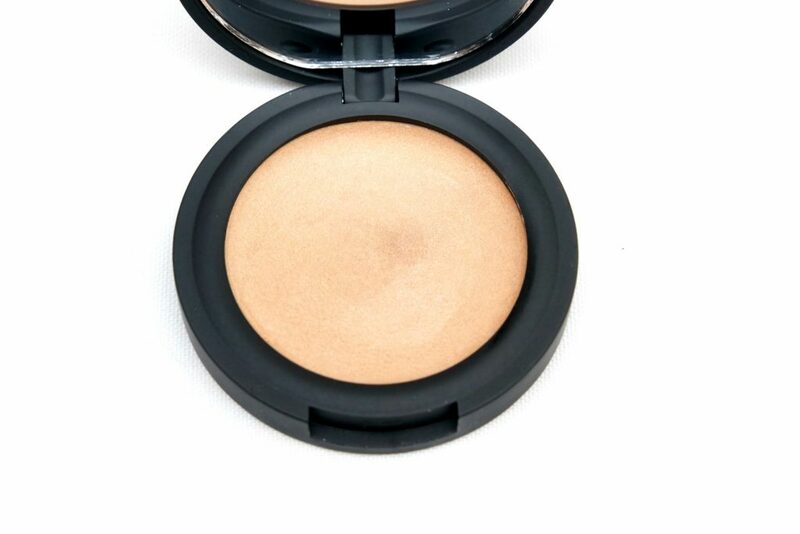 The brand recommends to warm the cream highlighter on the back of your hand to warm the oils before application. I just used my finger to warm up the product and immediately applied the cream highlighter to the highest points of my cheeks, cupids bow, nose bridge and the inner corners of my eyes. 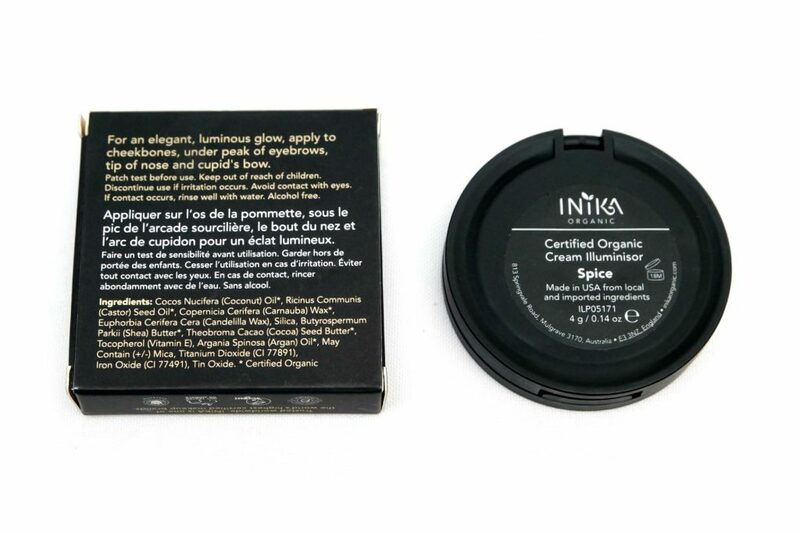 The pictures above are a before/after using the INIKA Cream Illuminisor in Spice. The gives a beautiful, natural looking glow on camera and in indoor lighting. 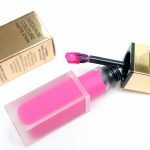 The intensity can be built up slightly but don’t expect a blinding result with this highlighter. 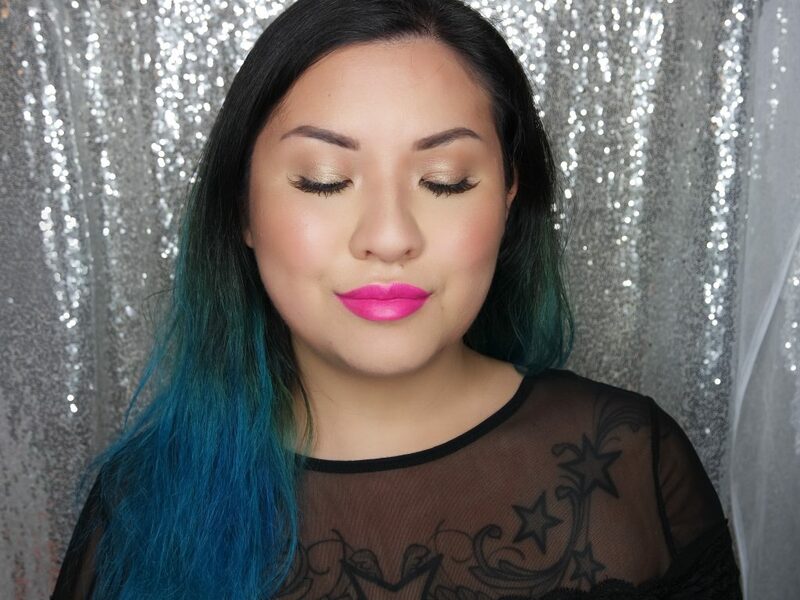 I actually love this subtle effect, because it makes my skin look naturally dewy and glowing from within. It is however a bit too glittery for my taste in direct sunlight. Since this cream highlighter contain so many different oils, I was afraid that the product would disturb and break down my base make-up, but it didn’t! 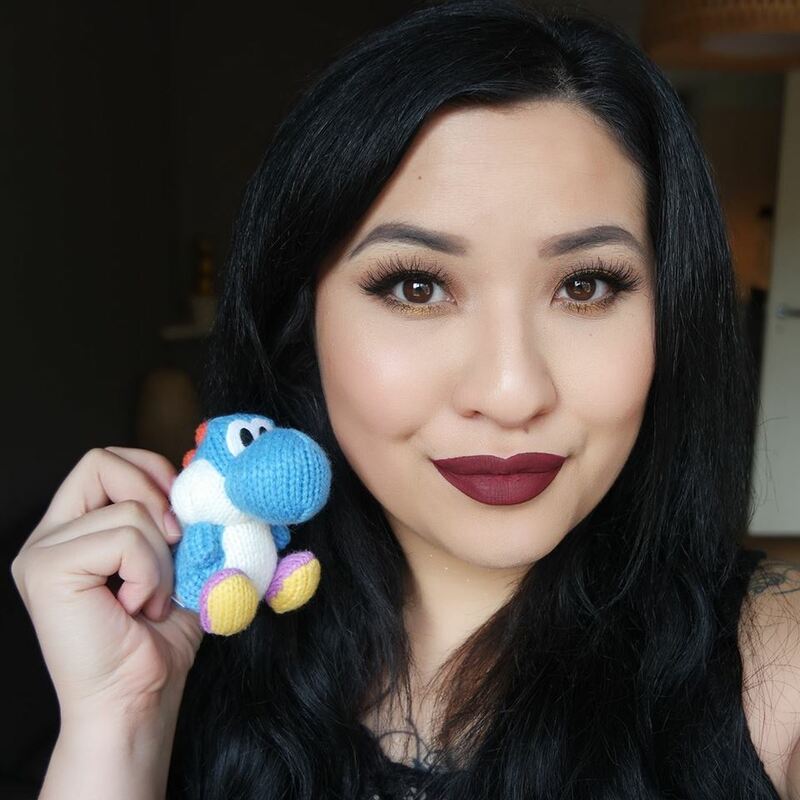 The product blended beautifully with the rest of my make-up so I’m absolutely impressed by the formula. I’m not sure however how this product would perform on an oily skin, since I have a dry skin type. 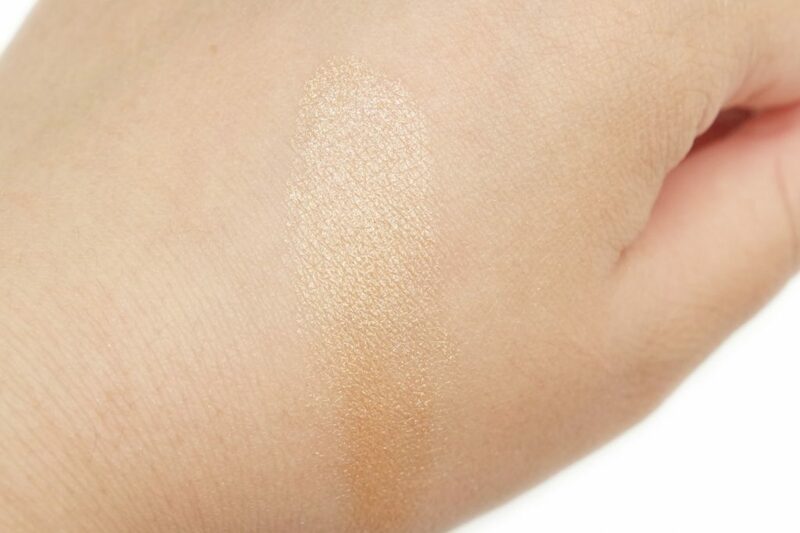 If you love a subtle highlight with some shimmer, you should check out one of the INIKA Cream Illuminisors. Aside from the shade Spice, it also comes in two other shades; Gold and Rose. 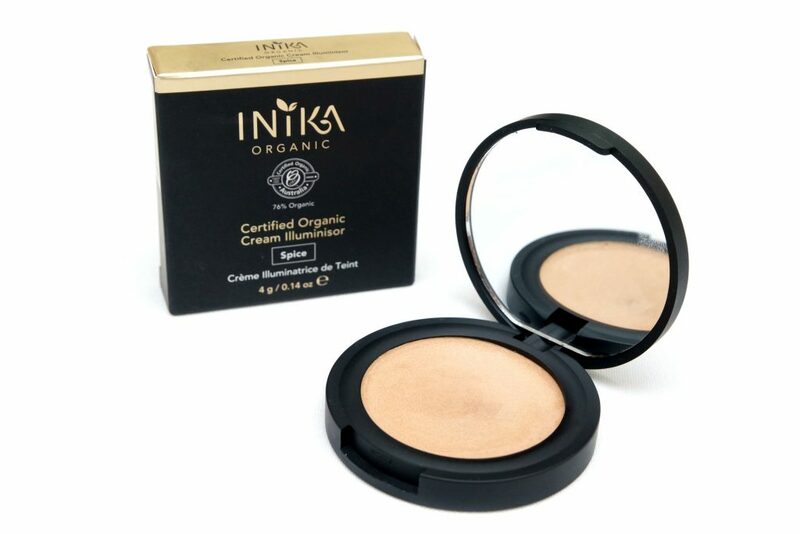 The INIKA Cream Illuminisor in Spice is available for a suggested retail price of €26,00 Euro at BiocareOnline.nl. 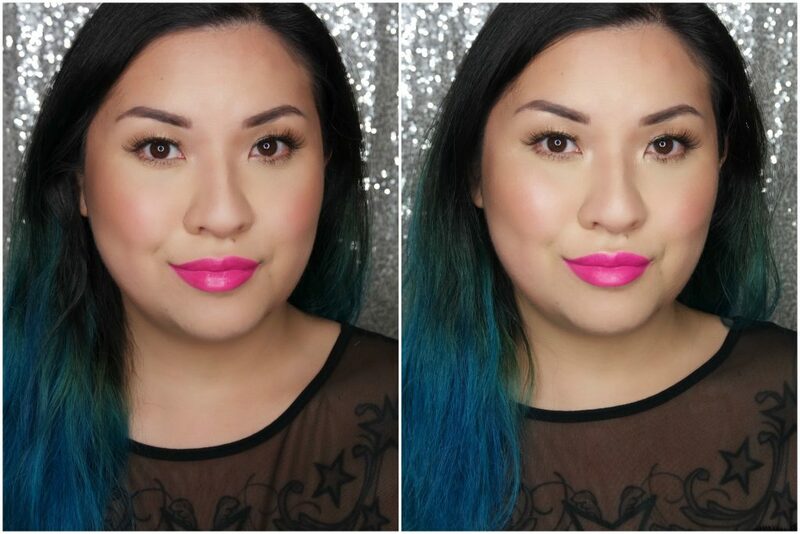 Do you like to use cream highlighters?